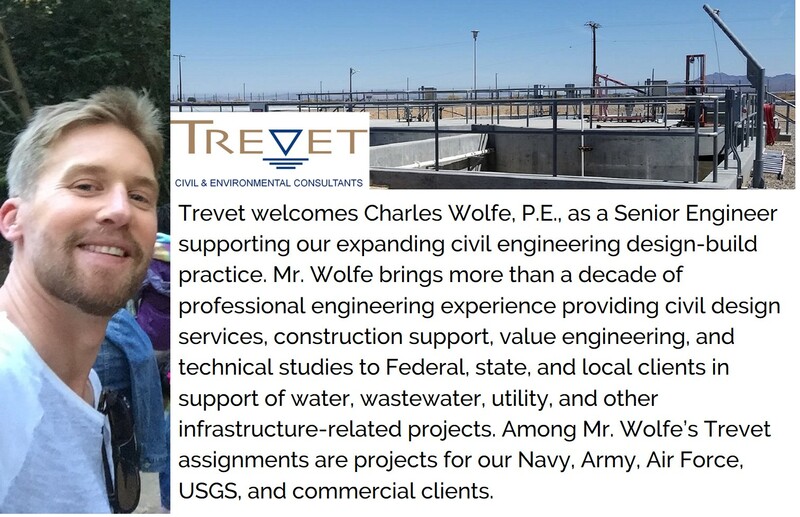 TREVET Welcomes Charles Wolfe, P.E. 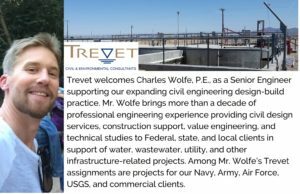 | Trevet, Inc.
TREVET Welcomes Charles Wolfe, P.E. San Diego, California (September 1, 2017) — Trevet is pleased to announce that Charlie Wolfe, P.E., has joined our Civil Engineering Practice as a Senior Engineer.